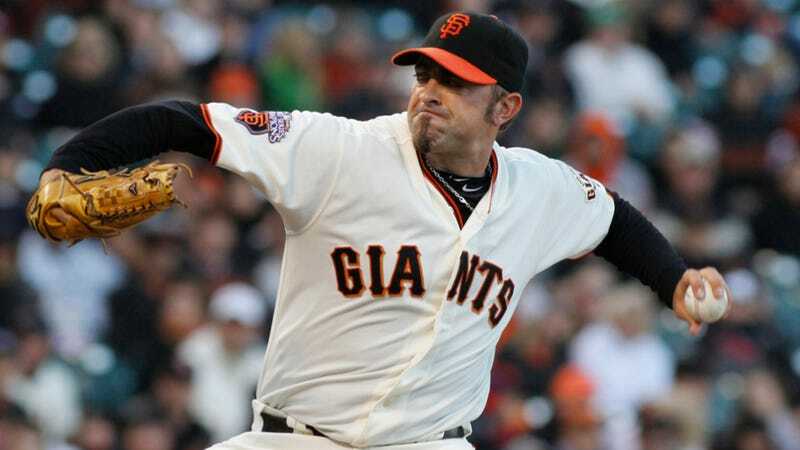 Affeldt sprained the medial collateral ligament in his right knee Saturday night when his son Walker, a 4-year-old who already stands 4-foot-6 and weighs 60 pounds, leaped off the sofa and ran into Affeldt's arm when the pitcher got home. Holy mother of God. That is one giant kid. Judging from a Seattle Post-Intelligencer story, Walker Affeldt was born sometime in August 2007. He's four years and nine months old. With that in mind, we've completed his standard CDC growth chart below. He substantially clears the 97th percentile. Ah, yes, an abnormally sized male associated with the San Francisco Giants. We've been here before. Jeff Novitzky can't be far behind.